Leopard Furniture Removals pride itself in keeping your move very simple and stress free. We will put our name on it. All our furniture removals trucks are closed and are equipped with necessary blankets and packaging material. This ensures that your furniture and memories arrive at its destination safely. All our furniture removals vehicles are tracked via a Matrix Tracker and cell phone for your peace of mind. Best Household and Office Furniture Moving Company Cape Town. Courier Services through out South Africa. Furniture Movers from Cape Town to Johannesburg & Pretoria every week. Furniture Removals from Johannesburg & Pretoria to Cape Town every week. 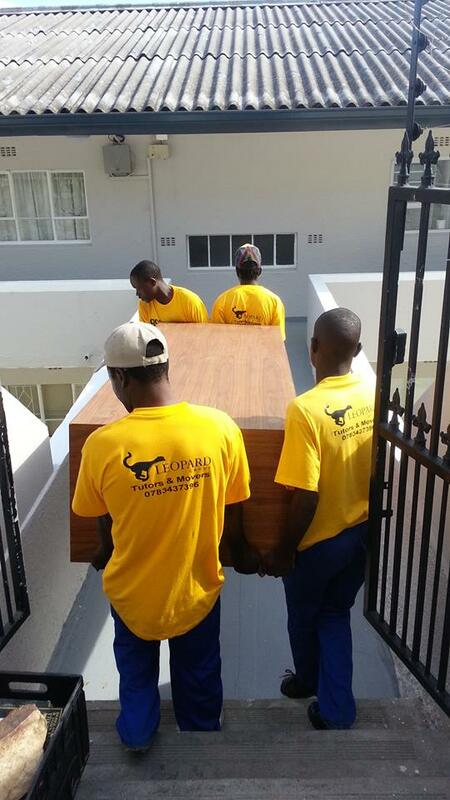 Furniture Movers from Johannesburg & Pretoria to Durban every week. Furniture Movers from Cape Town to Port Elizabeth every week. Furniture Removals from Port Elizabeth to Cape Town every week. Furniture Movers from Cape Town to George, Knysna, Pletternberg Bay every week. Furniture Movers from Cape Town to Mpumalanga. Cheap Removals from Eastern Cape to Gauteng regularly. Furniture Removals from Cape Town to Nelspruit. Furniture Movers from Cape Town to Kimberly and Bloemfontein every week. Furniture Removals from Cape Town to North West. Inexpensive Furniture Removalists from Cape Town to Northern Cape. Furniture Movers from Cape Town to Springbok. Reliable Furniture Movers from Cape Town to Cradock. Leopard Movers provide affordable removals, professional and reliable office furniture removals. We have the required measures and capacity to make your office furniture removals a success. Our office furniture movers are well experienced and trained to handle the challenges associated with office moving. A leading name within the removals industry, Leopard Movers offer a superb range of fully inclusive office relocation services designed to simplify office removals in Cape Town by making the process of moving as stress free as possible. Affordable storage space from R500 per month. All our moves are insured against fire, theft and accidents free of charge to our clients to a maximum value of R250 000 per trip. However our clients can request for an all risk insurance option, which will cover you against any breakages in transit. If you are moving house or relocating your business then the chances are you need a temporary storage facility where your furniture and valuable household items will be safe and secure until your new home or office is ready for you to move into. As the leading Cape Town removal specialists, we can assist you with all your Cape Town storage requirements by providing secure and cost effective solutions.